Light & Sound Installation. Optical fibres, LEDs, Raspberry Pi and custom software. “Light Catcher” is a dialogue between sound and light. 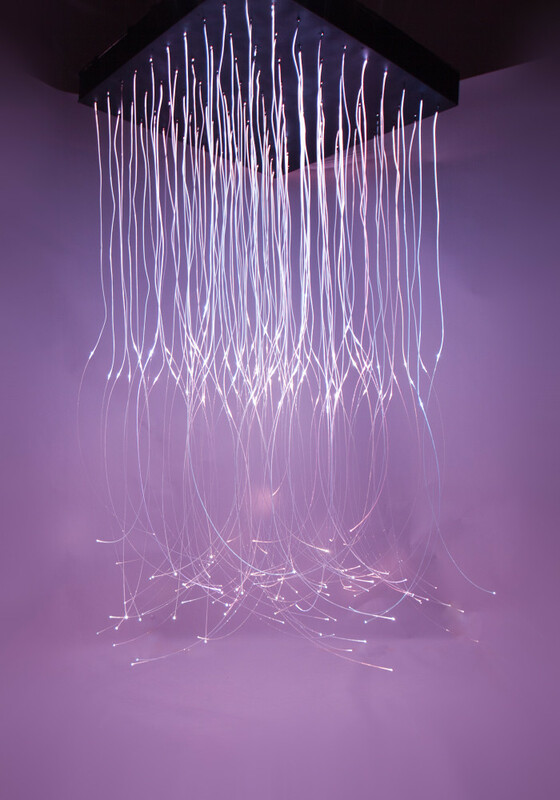 The installation is composed of numerous optical fibres that interact with sound. Sound is the driving force, light is generating the space. An electric spark is igniting the reaction. 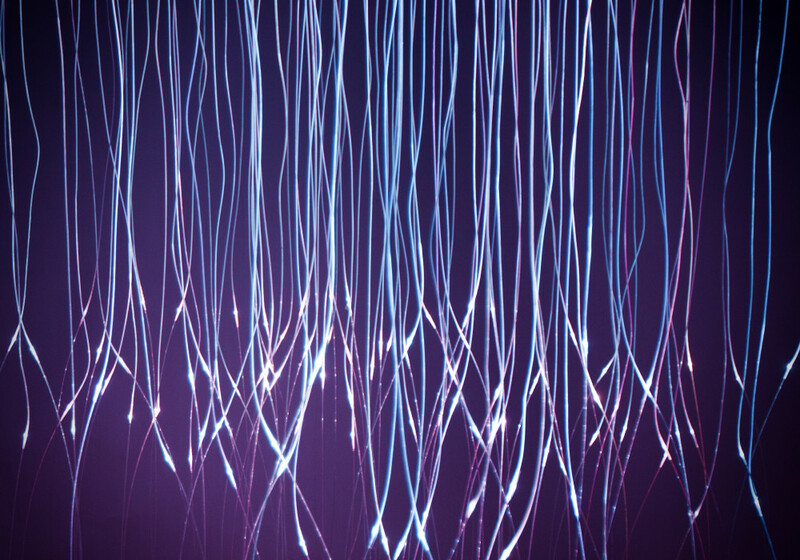 Light is entrapped inside the optical fibres, reacting only to sound stimulus. Acting like a catcher, the installation absorbs and emits light. This results an emergent dance of light from the fibres and the reflections on the surrounding surfaces. 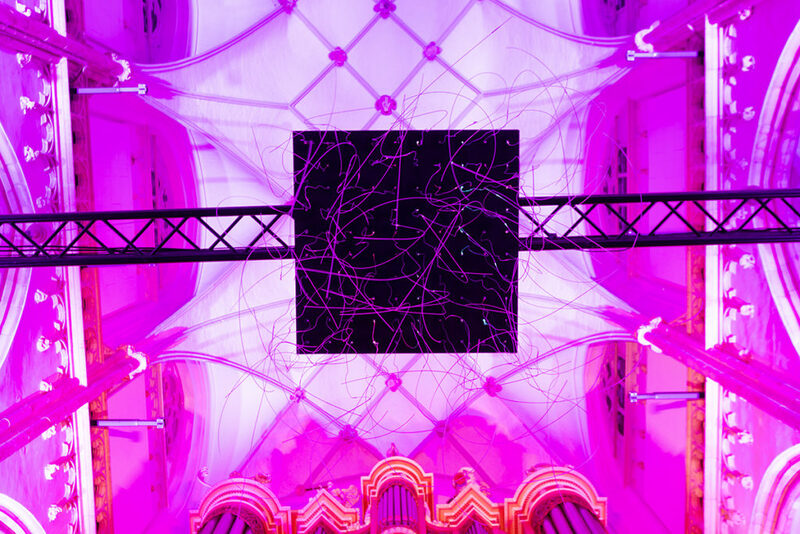 The white light dominates the installation but shades of other colors exist to highlight an audio event, like the sounding French horn playing a minor second interval. 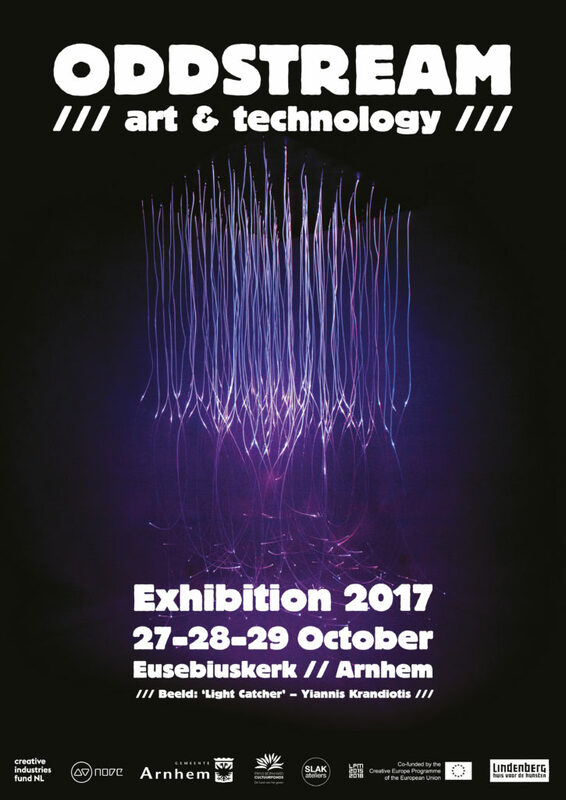 The visitor is invited to walk around the installation and explore the different visual and audio aspects. 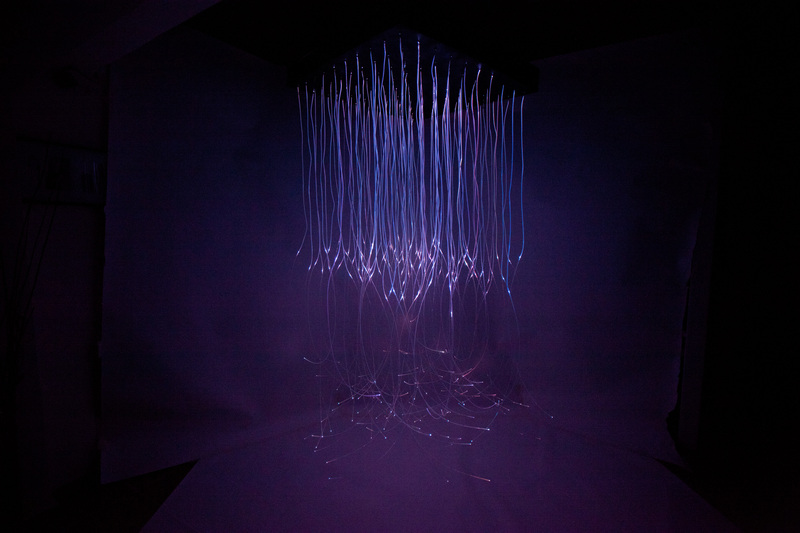 The project was created using C++ for designing the light choreography. The sound was generated in Pure Data along with acoustic instruments that were mixed together. In the final installation, a Raspberry Pi hidden inside, is playing the audio and controlling the LEDs using Python. 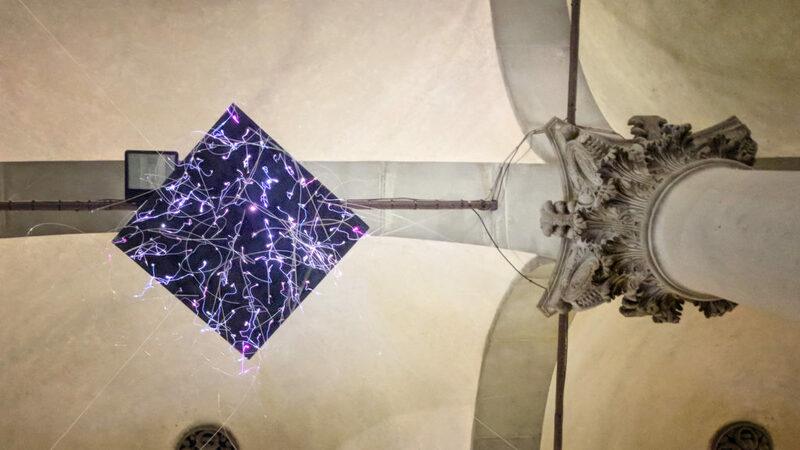 Light Catcher at the roof of Loggia del Porcellino for F-Light Festival 2017, Florence, Italy. 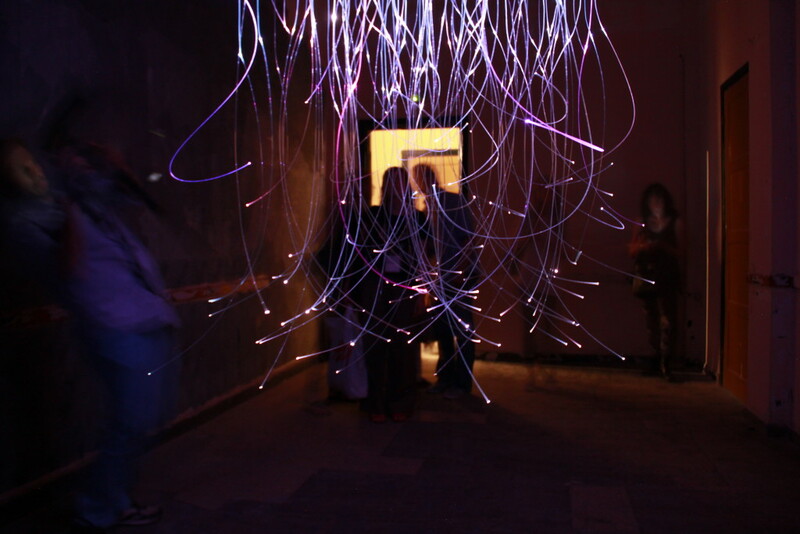 Animated gif of the “Light Data” that are feeding the installation.